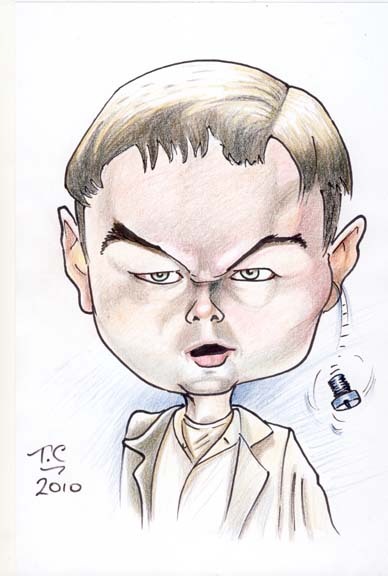 Caricature of Leonardo Dicaprio drawn using marker pen and Art Stix after watching Shutter Island. Great film, keeps you guessing right to the end. He’s great at this haunted, crazy expression. 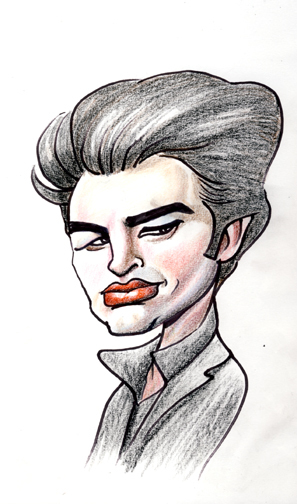 Another quick caricature of Robert Pattinson from the Twilight saga. Typical mean and moony pose ! 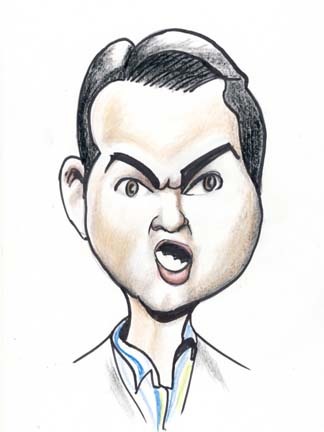 I have a few more caricatures in mind, might do a youtube caricature tutorial to accompany my other caricatures videos. 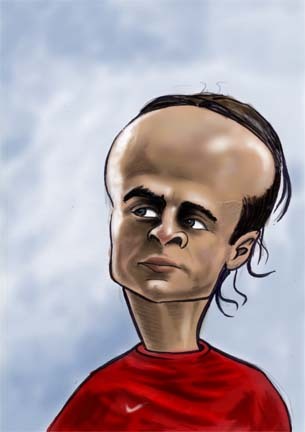 Dimitar Berbatov caricature drawn with copic caio marker and coloured in photoshop, what a big head. Sketched this while watching a performance of his. 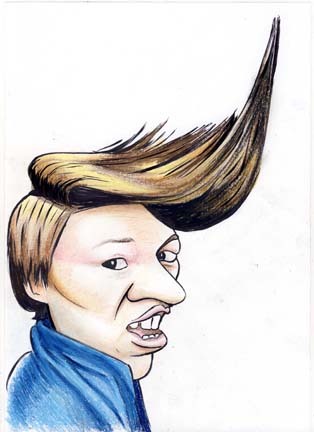 I’m still learning how to exagerrate my drawings and still retain some sort of likeness. There is a good tutorial on the use of art stix on sean Gardner’s website. I suppose this is more cute than exaggerated. Sketches with a Markette marker prismacolor art stix. I’ve been interested in the caricature style of Joe Bluhm and Sean Gardner, American artists with an exceptional flare for extreme exaggeration. some of these drawings are inspired by them. 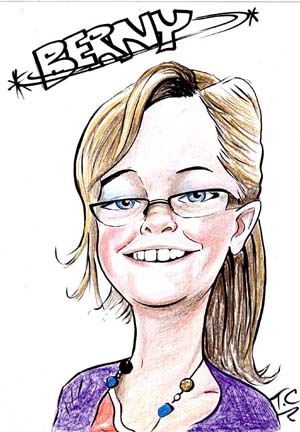 She makes a good target for caricature especially her hair.